Electracade aren’t one of the biggest operators in the casino industry, but since their introduction in 2004 they have managed to offer up a number of games via their platform. It’s worth noting that the company are now part of the OpenBet group, who acquired the company in 2008. They are based out of Surrey in the UK, and it’s this market and countries connected to these jurisdictions that the company target. All games that have been supplied by Electracade are on a strictly instant-play basis, with no download options available at the time of writing. It’s safe to say that Electracade doesn’t have the largest range of games on offer. They certainly cant compete with the likes of Microgaming or PlayTech, but they have carved out their own little niche within the slots and scratchcard sector, of which you can find out more information below. The company have worked around their lack of depth as far as numbers are concerned by developing game types that no other producer makes. For example, one of their flagship titles is that of Captain Scarlet Reactors. The game includes what you might think is a pretty standard video slot, but as you dig a little deeper some of the feature and bonus games are actually bingo games that you play within the slot. It’s an odd combination if truth be told, but if you appreciate the more obscure sorts of games then it could be the perfect match. The games that they do offer are actually very different from each other. These differences might come in the form of reels, paylines, themes or just the quality of games on offer. Family Fortunes is thrown in amongst them if you remember the TV show. Whilst the numbers are low, you could argue that they still tick a lot of boxes in terms of variety, which isn’t a bad thing in what can be a very repetitive industry. 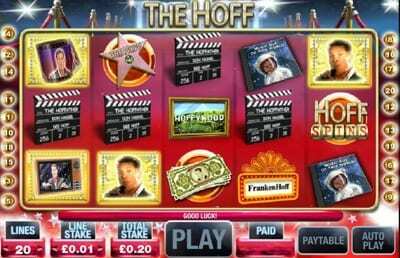 The main downside for the slots section is the design of the majority of games on offer. They look a little dated in this current climate and when other companies throw massive sums of money at the design of just a single game, you really can tell the difference in the quality. Interestingly, Electracade have a good range of scratch cards on offer. The range of games includes a number of different themes and payouts, which reflect the original stake amount. It’s not one of the most popular forms of casino games by any stretch, but they have found a niche and run with it, which has to be commended. In 2004 the company started as a very small casino games provider based out of London, England. Whilst they had some success in the coming years, they were quick to realise that they weren’t ever going to be able to compete with the budgets that other companies had over them and decided to look for investment. This investment actually came in the form of an acquisition by Orbis in 2008, who went on to become OpenBet in 2010. These guys have been about since 1996 and are now famed for having the largest collection of independent casino games developers in the world. Electracade clearly fit the bill for OpenBet and now they work alongside some absolutely huge brands such as Evolution Gaming, Genesis Gaming, Novomatic, and NextGen Gaming. Despite now being surrounded by the big boys, a lot of credit must go to Electracade when you consider how far they come given their size. Getting partnerships with the likes of Paddy Power, Bwin Casino, 888 Casino, Grosvenor Casino and many more is a testement to the work they have put in.